Homoeopathic medicine has been one of the world's most widely practiced alternative therapies. However, that the potency of a homoeopathic medicine increases with dilution followed by succussion (together termed as potentization) has thrown challenges to the scientific community at large. A recent hypothesis, advanced by us and others, is that due to the process of potentization, the size of the constituent particles decreases and eventually reaches nanodimension. This decrease in size with increase in potency has been verified by scanning electron microscopy and dynamic light scattering studies. The increase in potency is manifested in its increased effect on membrane fluidity. The change in potency also leaves its signature on Ultraviolet-Visible spectra, Fourier transform infrared radiation spectra and Raman spectra. We have taken one step further to carry this nano-dimensional property of homoeopathic medicine and put it into several technical applications. And in so doing, we have connected the important, old, un-quantifiable effects with the latest quantifiable technology and opened up an era of applications with more possibilities. Background: Berberis vulgaris is the most widely used drug in Homoeopathy for treating urolithiasis. However, its mechanism of action in alleviating its consequences remains uncertain. Objective: To explicate the potential role of Homoeopathic preparation of B. vulgaris on in vitro Calcium oxalate (CaOx) crystallization. 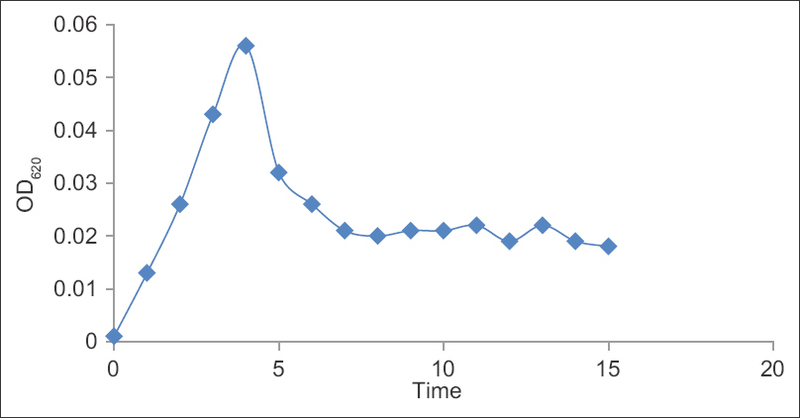 Materials and Methods: Spectrophotometric crystallization assay was carried out, and the slopes of the nucleation (till the maximum) and aggregation (after the peak) phases were calculated using linear regression analysis, and the percentage inhibition exerted by the modifiers was calculated. Light microscopic observation of CaOx crystals formed in the presence or absence of modifiers was carried out to support the outcome with spectrophotometric crystallization assays and to ascertain the potential role of B. vulgaris in CaOx crystallization. Results: The crystallization studies performed so far signifies B. vulgaris to be a potent drug against CaOx crystallization both at the level of nucleation and aggregation. Conclusion: Our present findings add up to the experimental evidence to support the efficacy of the homeopathic preparation of the B. vulgaris in modulating the primary events of stone formation. Background: Substantial number of patients with paucibacillary leprosy may still have active skin lesions at the end of MD treatment because of the continuing immune responses, though this does not denote failure of treatment. 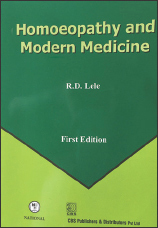 A clinical trial was conducted to compare efficacy of a homoeopathic medicine with MDT for the cure of leprosy. Aim: To compare the effect of a homoeopathic medicine - Sulphur with the Multi drug in the treatment of Paucibacillary leprosy according to WHO guidelines. Materials and Methods: Out of total 90 patients enlisted, 60 confirmed Borderline Tuberculoid (BT) leprosy patients of the age 14 years to less than 60 years were registered under this trial. All the patients were allotted a precoded number, randomly and equally divided in two groups. One group was treated with Sulphur in 200 potency in liquid orally once in week for two years and the other group received Paucibacillary (PB) regimen as recommended by WHO. At the end of two years findings were corroborated. Results: The study showed that MDT therapy (PB regimen) and homoeopathic medicine were found equally effective as histopathology of skin showed no granulomatous lesion. The most significant clinical sign observed in all cases treated with Sulphur was reappearance of normal skin colour and regain of loss of sensation of the skin lesion. Conclusions: MD therapy (PB regimen) and homoeopathic medicine were found equally effective. 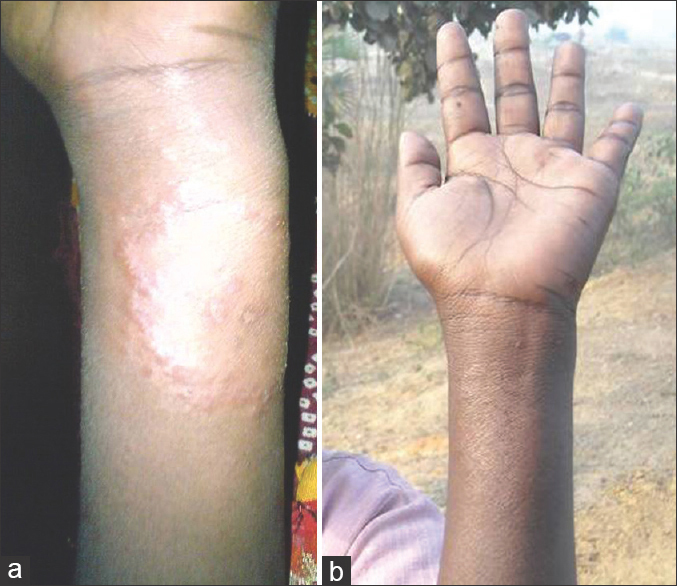 The patients of paucibacillary leprosy could get rid of the skin symptoms if treatment with Sulphur (is also given with MDT). Background: Vitiligo has an immense psychological impact on the affected individual and a reason for low self-esteem. 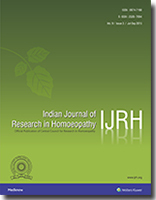 Considering the disappointing outcomes, A multicentric open clinical study was undertaken by the Central Council for Research in Homoeopathy, at five institutes and units in India from October 2005 to September 2010. Aims and Objectives: This observational study aimed to see the usefulness of homoeopathic therapy in the management of vitiligo. Materials and Methods: 432 patients of all age groups suffering from vitiligo were enrolled in the study. Out of that, 169 patients completed 2 years of follow-up and were considered for analysis. Homoeopathic medicines, based on the totality of symptoms and repertorization were prescribed. 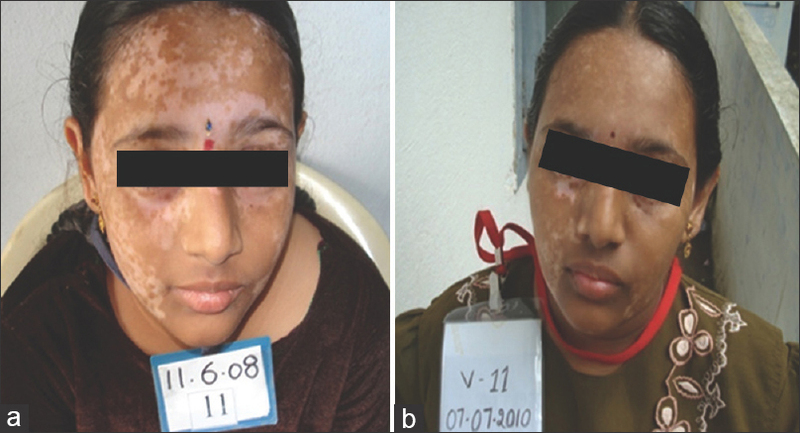 The analysis of the cases was based on the Vitiligo Symptom Score (VSS) and photographs of the patients. Result was analyzed using statistical method of SPSS version 20. Results: The changes in the mean VSS at intervals of every 6 months was found to be statistically significant. Homoeopathic treatment was found to be useful in relieving vitiligo in varying degrees in 126 patients, out of which 4 (2.94%) cases showed marked improvement, 15 (11.03%) cases showed moderate improvement, 77 (56.62%) cases showed mild improvement, and 30 patients although improved, fell in the category of not significant improvement group (below 25% improvement). Ten homoeopathic medicines were found useful in the study of which Sulphur (n = 27), Arsenicum album (n = 19), Phosphorus (n = 19), and Lycopodium clavatum (n = 10) were the most commonly indicated and useful medicines. Background: A double-blind, randomized, placebo-controlled Homoeopathic Pathogenetic Trial (HPT) of Nanocurcumin was conducted using the accepted guidelines, Ethical Committee approval, and scientific documentation. The standardized potentization method was adopted to enhance the quality of the pathogenetic trial. Various statistical calculations were used for evaluation of the symptoms. Aim: The aim of the study was to conduct an HPT of Nanocurcumin 6X, a nano-substance in dilution. Materials and Methods: The drug Nanocurcumin 6X was proved through double-blind, placebo-controlled method. The trial was done in 6X potency on 30 healthy provers who were screened by their pretrial medical examinations and routine laboratory investigations. Of 30 provers, 7 were on placebo and 23 were on drug. Medicine was prepared according to the principles of trituration given in Homoeopathic Pharmacopeia of India. The signs and symptoms generated during the trial period were noted by the provers and decoded and compiled afterwards. 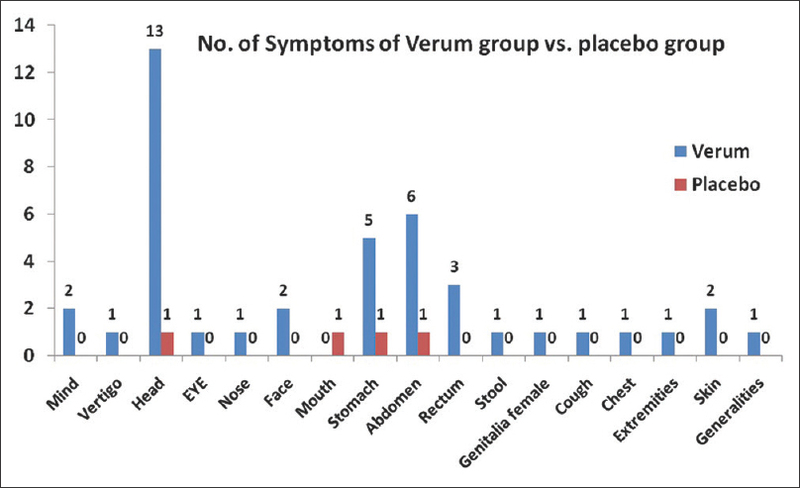 Results: Of 23 provers who were on verum 17 provers manifested symptoms and out of 7 provers who were on placebo 2 manifested symptoms. Conclusion: The drug pathogenesis evolved indicates its therapeutic use in sinusitis, migraine, dyspepsia, constipation, diarrhoea, dysmenorrhoea, pharyngitis, bronchitis, etc. 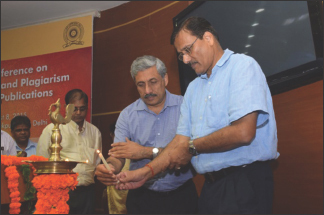 Central Council for Research in Homoeopathy (CCRH), Ministry of AYUSH, Government of India partnered with Society for Social Development and Peoples Action (SDPA) to organize a National Conference on Ethics, Copyrights and Plagiarism in Research & Publications at AYUSH- Sabhagar, New Delhi on 8th August 2015. The conference was aimed at raising awareness about copyright infringement, enhancing knowledge about Intellectual Property Right issues/laws etc and guiding participants to prevent plagiarism. The conference was attended by 125 delegates including Medical and library professionals, researchers and students from ten states across the country. Four scientific sessions on Intellectual property rights- changing concerns, IPR issues in Research & Publications, IPR laws and judicial institution, Internet & Challenges to IPR were held; key speakers of the sessions being Prof. Alka Chawla, Dr. Somen Chakraborty and Dr. Deepankar Mukherjee respectively. The conference concluded with a set of recommendations collated from the papers presented, speeches delivered and individual feedback from the participants. Dr. Raj K. Manchanda in his closing remarks thanked the organising team of both SDPA and CCRH. He further assured to organize events on copyright subjects every year for benefit of all. Heloma durums also known as corns are areas of hard, thickened skin which commonly occur on the feet, and can cause pain, discomfort, and they also tend to reoccur. Two cases of plantar heloma durums illustrated here were treated with same medicines with similar genetic make-up, that is, father and daughter. Father received the medicine after case taking whereas 15 years later, the daughter received homoeopathic treatment given to the father. Both tried other modes of treatment including invasive procedure before being successfully cured in a short span of time with homoeopathic treatment protocol. Here, the same treatment cured both father and daughter, which indicates that the same homoeopathic medicine is effective, in similar genetic make-up for a given disease (genetic similimum). Several studies show the potential of homoeopathic medicine to regulate gene-expression in animal and plant models. It seems that the present treatment is also acting in the same fashion by regulating the gene responsible for predisposing corn formation.